A Ockershausen:	This is Andy Ockershausen. This is Our Town. I’m so delighted because when I see our guest around town I always call him the governor, because he ran for governor and in my estimation … I didn’t live in the county but I’d have voted for him. I thought he’d have been a great governor. He thinks I’m teasing him but really, Doug Duncan, you would have been a great governor. I’m sure of that because you were a great county executive in Montgomery County until 2006. You’ve been in public service for much of your adult life. Almost a local boy, just born across the border, of course. You went to St. John’s College High School, attended Columbia University, and like a lot of my good Catholic friends, you’re one of 13 children. He’s currently reinvented himself as the CEO of a great organization called Leadership Greater Washington. Doug Duncan, welcome to Our Town. Doug Duncan:	Andy, thank you very much. Great to be here, and you’re one of the founders of Leadership Greater Washington, so thank you for that 31 years ago. A Ockershausen:	It was a great experience when it started out, Doug. A lot of people don’t know what this thing was going to be. Now I think it’s almost unbelievable. The first year we had to recruit. We never did fill up the whole class, and people were wondering what it was going to be. It turned out to be exceptional and a wonderful thing for Our Town. Doug Duncan:	We’ve got close to 1,700 people who’ve been through the program over the 30 years. It’s a great network of people who really are committed to the region and advancing the interest of the Washington region. A Ockershausen:	The leadership ability of that group is stunning to me every year. I mean, it gets bigger and bigger, and Doug, you’ve been a big part of the growth of leadership, but that started because you’re so well known around Our Town. Even though you weren’t born in Our Town, you are a part of Our Town because your family was. I think that is such a great story, that your dad was in the United States Army at one time. Doug Duncan:	My father was in the Marines. My grandfather was in the U.S. Army. My mother’s side is native Washington, back for years. I think one of them goes back to the Daughters of the American Revolution, then part of her family, the Irish, came over. They lived in DC for many years. I think my mother’s father … My mother’s grandfather had a pub, or a bar, in Georgetown. A Ockershausen:	Wow, they’re a big part of Our Town. A Ockershausen:	One of them being your dad. A Ockershausen:	A strange thing. Doug Duncan:	Yeah, it’s kind of interesting. Then he joined the Marines after high school, and because he was fluent in French, they sent him to the Pacific where he really couldn’t do anything, but he was in China for a while. A Ockershausen:	French Polynesia. You know, a lot of things . A Ockershausen:	South Pacific was a French planner, right? Mary Martin was in love with a French planner. Doug Duncan:	That’s true, but I didn’t think he was able to use his language skills there. A Ockershausen:	Your dad and your grandfather, a big part of Our Town, and your mother is certainly a part of it. All of your sibling were born in Washington, and then you moved to Rockville. Doug Duncan:	We moved to Maryland. My father went to Georgetown. My mother went to Trinity. That’s sort of a traditional Georgetown-Trinity marriage kind of thing. Actually, his sister was my mother’s best friend in college. She’s the one who connected those two. They got married. They had four kids in DC. Lived in a one bedroom apartment. They said, “You know, if we’re going to have four kids, we need to get a house.” My father was working for NSA at the time, and they had been to a housewarming party in Rockville for one of his coworkers. They liked the neighborhood, liked the area, and said, “We’ll buy a house in Rockville,” so they bought a house. I was born. They moved in 1954. I was born a year later, and then after me came eight more kids. We had 13 kids in that house. A Ockershausen:	A good Catholic family. Of course. Doug Duncan:	Very proud to be a part of St. Mary’s Parish in Rockville. A Ockershausen:	I remember seeing you when you were running. Your kids were great. You used to bring them to meetings when you were County Executive. How in the world did you get into politics? Were you in the public sector? Doug Duncan:	That came from my mother. She was … The first time she could vote was when she moved to Maryland. There was no elected mayor. You couldn’t vote for. . .
A Ockershausen:	That’s right, up in Washington. Doug Duncan:	There was no vote. When they moved to Maryland, she could finally vote. She got very active in Democratic politics, local Democratic politics in Rockville and Montgomery County. She never ran for office. She managed a bunch of campaigns. Of the 13 of us, I’m the one who just sort of tagged along with her, and really got this interest in politics. She would always tell us that religious service is the highest calling, public service is the next. I knew as a kid, once I realized I wasn’t going to become a priest, that I was going to do something in public service. I was very, very, very shy, so to think of me as an elected official was sort of difficult, but I wanted to try it. I knew I’d do something in government. Wound up running for City Council in my hometown of Rockville in 1982. Got elected. A Ockershausen:	That was the first time I heard the name Doug Duncan, when you were on the Council. Doug Duncan:	Got elected there, and then figured I’d just try it, see if I liked it. It was an office you could run for. I think I raised $2,000 to run for it, and it all worked out. I wound up liking it so much, I said, “I want to run for Mayor. I want to try to be Mayor.” I ran for that in ’87. Got elected there, and loved it. Doug Duncan:	I loved being Mayor of Rockville. You’re still on the Council. You basically set the agenda for the council. You run the meetings, but people look at you differently. When you’re on the council, people say, “What bills did you pass? What issues did you study? What task forces did you create?” Whatever. When you’re mayor, they say, “What did you get done? What did you do?” I just love that sense of urgency. A Ockershausen:	The Chief Executive. Doug Duncan:	Yes, and it was wonderful, even though I really wasn’t, but people treated you differently and expected. A Ockershausen:	Perception is reality. Doug Duncan:	It is. It is. In that case, people think you’re the Mayor and you’re in charge. People expect you to get things done, and they come to you to get things done. I loved that so much. I said, “I want to do this full time.” I worked for AT&T back during all … It started with C&P, then went through five different versions of AT&T as the divestiture happened and all that. My part time job was on the Council and Mayor of Rockville. Then I said, “I’d like to do this full time.” I ran for County Executive in 1994 and got elected there, and just absolutely loved that job. Everybody should be Mayor of their town for a day. It’s just a great feeling. It’s a great job to be able to give back to your community. A Ockershausen:	You were on the edge of the explosion in Rockville. Doug Duncan:	We were. We were. A Ockershausen:	It just became a huge, huge thing for Our Town. Rockville is, when I go through it now, I don’t remember anything. It’s such a huge place. Doug Duncan:	It’s now part of, you know, it’s not the inner city or whatever, but it’s part of that. It’s not considered the sticks anymore. When I was born, for several years, it was the sticks. A lot of the people we knew went to Blessed Sacrament, Chevy Chase. That was, you know, part of Our Town. Doug Duncan:	Rockville was farmland and way out there. Doug Duncan:	Now it’s very different. A Ockershausen:	I remember going to Richard Montgomery to a basketball game, and I thought we were going out of the world. You know, Veirs Mill Road was dirt, I think. I don’t know. It was that long ago. Doug Duncan:	270 was 70S. It was a two lane road going up, going north. A Ockershausen:	It was nothing. Right. What a great experience for you to be on the cusp of that explosion. What you have seen now in Rockville, it’s become an edge city. So many people live in Rockville but don’t come in the city anymore. Doug Duncan:	That’s right. Traffic is one reason for that. Metro makes a huge difference for you, but traffic, when I was in high school at St. Johns, we had a large number of kids from Virginia in the class, large number from DC, and the rest were sort of mostly Montgomery County. Now, the Virginia contingent is gone. It’s all DC and Montgomery for the most part, because the traffic. You can’t get there. A Ockershausen:	You can’t get there from DC anymore. I mean, from Maryland. You can get in from Rockville because you’ve got Metro and good bus service, but in Virginia, the bridges have screwed up everything. You can’t get in. Doug Duncan:	We would go to Tysons. If you say, “Okay, we want to go shopping,” we would go to Tysons Mall and not think twice about it. Now if you wanted to do that, you’ve got to sort of plan what time of day you go, what the traffic is going to be like, and can you get in and out. It’s a very, very different situation. It was great for me to be Mayor of Rockville and to be County Executive, because Montgomery County and Rockville gave so much to my family. Rockville was a great place to grow up. A Ockershausen:	Absolutely. Great schools. Doug Duncan:	A tremendous recreation and parks department. Just a great thing. A Ockershausen:	Your job as a County Executive was incredible. I mean, you were also … That was a position of power, correct? Doug Duncan:	That was very different, yeah. That wasn’t the Chair of the Council. That was, you are the top elected official in Montgomery County, Maryland, the largest jurisdiction in the state of Maryland. A Ockershausen:	The richest, I may add. Doug Duncan:	The wealthiest, the most jobs in the State of Maryland, most school kids. That’s a great position. A Ockershausen:	It’s like Silicon Valley almost, Montgomery County. Doug Duncan:	We worked very hard to try to turn the 270 corridor into a biotech community, and we’ve had a lot of success there. Time Magazine actually called 270 DNA Alley at a certain point. We’ve done a lot of things there. Doug Duncan:	That’s a bad time to go. A Ockershausen:	That’s an awful time. It’s fine if you’re in Northern Virginia. You come out of the city, forget it. Doug, that’s true of the whole area. Your experience as County Executive was one, and then you declined not to run. I thought you were going to make Governor. As I said, you would have been a great governor, because you had the experience of a small town. You had the experience of a huge county, and that’s a good stepping stone to be governor. Doug Duncan:	No, it was a great experience. I sort of joked that a funny thing happened on my way to Annapolis where I suffered from major depression. I was diagnosed. I had known for a couple of years something was wrong. I just thought I would push my way through it. Idiot me, with my grandfather’s issues, my father’s. My father suffered from bipolar disorder all his adult life. Several of my brothers and sisters had issues. I just thought, “Well gee, it didn’t hit me in high school or college, where it normally hits people. I escaped the family curse.” Well, it turns out I didn’t, and suffered from major depression and met with a psychiatrist. I basically said, “I’ve got to just stop and get healthy again for myself and my family,” so I pulled out of the race. A Ockershausen:	Right. Good for the State of Maryland too that you didn’t get the job and then have the problem. You addressed it, and handled it. Janice Iacona Ockershausen:	That took a lot of courage. Doug Duncan:	I was just going to say, people have said it takes a lot of courage to talk about that. What struck me was that it really … To me, it was just telling the truth, that I had this illness. Part of it was from my family history and knowing that. If I had cancer, if I had something else, you just tell people what you have and you’ve got to deal with it and take care of it. A Ockershausen:	I think that was a bold move. Doug Duncan:	The toughest thing for me was to admit I needed help. I always kept saying, “I can just … I don’t know what it is. I can get through it. I’ll just keep pushing.” There was no joy in my life. Janice Iacona Ockershausen:	You were on the cutting edge. You were on the cutting edge of that, coming out like that, I think. Doug Duncan:	What was interesting was the Washington Post did a story sort of on that with myself and my wife, and I didn’t realize at the time. There’s only a handful of politicians around the country who have stood up and said they suffer from mental illness. I joked to myself, “Gee, if I had known it was only five, maybe I wouldn’t have said so much.” Again, it’s just a question of telling the truth. The toughest thing for me was admitting I needed help. I was at Mass on Father’s Day weekend, actually. In the middle of Mass, it hit me that I was depressed. I just went, “Wow. Why didn’t I see that before? Why didn’t I get help before?” Then the next day, or that Monday, I went to see the doctor. He said, “You’re suffering from major depression. Here’s what we want you to do.” Then I went from there and announced it to everybody and pulled out of the race. A Ockershausen:	The Church helped you reach that decision. Doug Duncan:	Something happened. I was very, very sick. What was nice for me was in the week after I made that announcement, the Mental Health Association of Montgomery County runs a hotline for people. They got a thousand calls from people in that first week looking for help. Janice Iacona Ockershausen:	That’s why it was good. Doug Duncan:	That was amazing. A Ockershausen:	Doug, you really helped them. You helped so many people you don’t know about. Doug Duncan:	I’ve had two people come up to me and say I saved their life, that they were contemplating suicide, and then when they read about me, they said, “Well gee, if it happens to him, I can’t be that bad.” Then they went and got treatment as well. It’s a horrible thing to go through. I wouldn’t wish depression on my worst enemy. It’s just a horrible, horrible thing. I’m a guy who enjoys life. A Ockershausen:	You’re a people guy. Doug Duncan:	I’m a guy who enjoys the flowers blooming in the spring, who enjoys the first snowfall, who enjoys kids’ laughter. There was no joy in anything for me. There was no joy in anything and everything was hopeless. Doug Duncan:	I got treatment and I got better. That’s my message to people around the region. Wherever I go, I always make it part of my pitch. A Ockershausen:	Everybody should use you as an example. They should, and I’m sure they do. You’ve done great things for Our Town. We’re going to continue about that, Doug. We’ll be right back. We’re going to take a break right now. This is Andy Ockershausen. We’re talking to Doug Duncan. A Ockershausen:	This is Andy Ockershausen. This is Our Town. We’re having a conversation with Doug Duncan about his life and his family and his career. Now he has reinvented himself with a fabulous position as CEO of Leadership Washington. Tell me, because I know, but these other people don’t, what is Leadership Washington? Doug Duncan:	Leadership Greater Washington is an organization that was founded in 1986 to bring regional leaders together to help advance this region. What we do is we run a class. We bring about 60, plus or minus, leaders from all different sectors of the region together every year. We meet one day a month, and we talk about the problems and the challenges facing the region. We get them to bond with each other. To me, that’s really the important thing about what we do. Ten years from now, you’re not going to remember what the unemployment rate in the region was, but you are still going to have friends you made in the class year, and in the program. You will meet people through Leadership Greater Washington that you never would have met, except for Leadership Greater Washington. I think that’s the most important thing about it. We are building intense friendships among regional leaders in areas that they never would have been able to meet these people. A Ockershausen:	Doug, having been involved from day one, with people like Steve Harlan who talked me into helping him with this committee. First, we had to sell people on the idea to do it, because they didn’t know what the heck it was. Barbara Blum was great, and Pete Buddy was marvelous, who was fabulous, but the whole idea to me was a junior board of trade. I thought that made sense, or a junior chamber of commerce, to bring people in this, but much bigger than a board of trade, because a lot of people couldn’t afford the tuition, so we provided some way. Some of these people were on scholarship through the Washington Business Community, which I thought was a great idea. In the first class, I remember it was small, but now looking back, I see those guys. Those people pretty much run the city now, that first class. It’s incredible. Thirty years ago. Doug Duncan:	The quality of the members we have for the whole program is just astounding to me. Doug Duncan:	What struck me, as a former County Executive in Montgomery County, I know a lot of people. At least I thought I knew a lot of people until I went to Leadership Greater Washington. I’m just meeting people every day who are doing great things for the community, people I’ve never met before. To me, that’s the best thing about the job, and it’s the best thing about being County Executive or Mayor. You meet people every day who are doing good things in their neighborhoods or the community, not because they’re getting paid for it., not because they’re getting publicity for it, because it’s the right thing to do. Doug Duncan:	I’m still meeting people today through Leadership Greater Washington that are doing the same thing. We get now about twice as many applicants as we take in the class. We don’t want to have too many applicants, because I don’t want to say no to 300 people, but it’s a real good mix of people that we get. Doug Duncan:	The quality is really … It’s a fascinating group of people to be around. What’s fun for me is the dynamics of each class are different. You’ve got 60 people together for 10 months. Just watching the class grow and bond and learn is just fascinating. It’s a great experience. A Ockershausen:	I think the competition that has evolved of the different classes is so … When I see it at the meetings, some of them stand up and cheer for each other. They boo. They really have a good time. Competition that my class is better than your class. I love that. Doug Duncan:	Every class is the best class ever. That’s how they feel. It’s a lot of fun. I’m glad they take pride in the class. They take pride in the organization. The other thing about what I really enjoy about Leadership Greater Washington is working in the District. I’ve never really done that. A Ockershausen:	No. You’re a Maryland guy. Doug Duncan:	I’ve spent a lot of time, AT&T, and then sort of been around the Beltway at different positions. The energy in the District is unbelievable. It’s an amazing place to work. It’s an amazing time to be a part of what’s happening in the District of Columbia right now. I love it. I keep telling people I’m not in Rockville anymore, because everything that’s happening down in the District, it’s a remarkable place. It goes back to Tony Williams and the mayor since then have done, I think, very good jobs of promoting the city, moving it forward and focusing it on the right things. A Ockershausen:	Rockville now is an edge city, but 30 years ago, of course, it was a different attitude towards Our Town. Abe Pollin did it by building that facility in the city. I think the Lerners did it by standing up and bringing that baseball team here. It’s changed the dynamics of Washington. Now Doug, you see it. I see it. I can’t believe what’s happening at The Wharf. It’s incredible. A Ockershausen:	It’s a big problem for Muriel. Doug Duncan:	A big problem for Muriel and for the residents of the city. That’s something we’re going to have to focus a lot more on. Leadership Greater Washington, LGW, has done a lot with affordable housing as well. A Ockershausen:	Doug, what happened with … I call it Our Town. Milt Peterson did that with National Harbor. It’s incredible what’s happened right across the river in Our Town. Doug Duncan:	You have to give Abe Pollin a lot of credit. A Ockershausen:	He started it. He did say his son told him the day it opened, his son told him, “Dad, you’ve got to ride the Metro to the Center today, just to be able to tell people how convenient it is, how easy it is to do that.” The only time he ever rode the Metro was that one day. He enjoyed it immensely. He was very proud talking about it. He really started a lot of things. What’s happened around the Verizon Center, Gallery Place is just incredible to me. You’ve seen Milt Peterson do it even in Silver Spring, the changes that took place there. Discovery Communications took a gamble. A Ockershausen:	Every time I drive through Silver Spring, there’s another building. A Ockershausen:	The Silver Theater was a wreck. Doug Duncan:	It was. It was falling in on itself. Absolutely. Discovery Communications, John Hendricks and Judith McCale took a gamble and said, “We’re going to be part of this revitalization of Silver Spring. We’re going to put our world headquarters here.” They brought so much with them when that came. It was just amazing. You look at these pioneers, who … Milt Peterson, you said, at National Harbor. You look at people who invest in these areas that are really run down and failing, and turning around, and providing tax base for the community to help pay for schools and other things. A Ockershausen:	Hire, hire, hire. MGM has done that now. They’ve hired a lot of people as you know, and it’s really been great for Our Town. Milt Peterson and … The Discovery story is incredible. I remember they used to be in a warehouse next to Andrews Air Force Base, is where Hendricks started everything. A Ockershausen:	He did a great job. Doug Duncan:	For their corporate culture, they said, “We want to be urban pioneers. We want to do something new.” It worked very, very well. It was a real godsend to us. A Ockershausen:	It’s amazing what you have done, Doug, to make this and part of Our Town. We’re going to take another break right here. This is Andy Ockershausen talking with Doug Duncan on Our Town. [Commercials]Attorney Mike Collins:	Are you still promising yourself or your spouse to get your will updated and a good, basic estate plan in place? Are you finally ready to make sure you don’t leave a mess behind for your family to clean up? Give me just two hours and I’ll show you how. I’m Attorney Mike Collins, host of radio’s Legally Speaking show. Come to my seminar and I’ll teach you what you need to know about wills, trusts, taxes, probate, how to keep your money in your family. Register now at mikecollins.com and I’ll even waive the tuition. That’s mikecollins.com. A Ockershausen: This is Our Town with Doug Duncan, Andy Ockershausen. We’re talking about what has happened in Our Town and his tenure as … Well, since you’ve been in charge, Leadership Washington has grown so many times. You’ve made it happen. We now have National Harbor. We have the Yard. I didn’t even mention The Yard. Doug Duncan: That’s right. That’s incredible what’s happened over there too, by the ballpark. Doug Duncan: It’s really nice to see. Again, the worry is displacing people, and where do they go, and affordable housing. We’ve got to do a better job on that, but to see places bring new tax base to the city and to the region is just awesome. A Ockershausen: Our Town, I don’t want to say this completely, but it’s awash in cash. The city is doing very well fiscally. They’re loaded with money. I would hope they’re going to use that money to take care of the housing problem and take care of a lot of the crime. Give people money so they don’t rob. Why leave it in the treasury? It’s not doing us any good. Doug Duncan: Mayor Bowser is, with her new budgets, trying to . . .
A Ockershausen: She’s very conscious of it. I know. Doug Duncan: And pushing hard on it. That’s a regional issue. That’s not just the District. The whole region struggles with affordable housing. We don’t want to become San Francisco, where you either have to be very rich or very poor to live there. We don’t want that to happen. We want people of all incomes to be able to live and enjoy this region, because it’s such a great place. A Ockershausen: That is a challenge, Doug. Maybe that would be great for Leadership to get to whole class. What do we do about it, because affordable housing means that people can’t pay a lot of money. It comes down to money, correct? It’s all about money. People want to be in nice houses, but if they don’t have the money, they can’t do it. Wouldn’t it be smart to subsidize these people with cash? I don’t know. Doug Duncan: There’s a lot of different programs to help with affordable housing and to help, from the federal government on down, to help people make it more affordable. A Ockershausen: It may be paying landlords. It may be paying builders more money. Why have the cash in the Treasury that’s not doing … It’s not addressing the problem in our city and Our Town. Doug Duncan: That’s what the Mayor is trying to do. A Ockershausen: That’s what they’re working on now. Doug Duncan: That’s what Mayor Bowser is working on. Absolutely. A Ockershausen: It would be a great thing for Leadership Washington to take that on. Doug Duncan: We’ve done over a year of sessions on affordable housing in the region. Had a lot of people come in and talk with us, and we’re wrapping up on June 1st with some recommendations for our members of ways they can get involved, things they can do. A Ockershausen: Well we run into it and hear about it at Our Town. Citizens’ Associations are all for it, but not in my neighborhood. That’s probably been true for what, a thousand years. We’re all for it, but don’t put it here. Doug Duncan: There’s the NIMBY issue of not in my backyard is one that’s still around and still as vibrant as ever. I think that’s where the elected officials have to show some courage. A Ockershausen: Stand up. Absolutely. Doug Duncan: They have to have a vision for their region, for their community, their jurisdiction, and say, “Here’s what we’re going to do. We’re going to spread this out.” Montgomery County has a, they’ve got a national reputation as a leader in affordable housing. The Moderately Priced Dwelling Units originated in Montgomery County. Inclusionary Zoning originated in Montgomery County. There’s a lot of things you can do. What doesn’t work is concentrations of poverty. We’ve seen these projects being built in the ’60s. You have concentration of poverty. It just does not work. A Ockershausen: One of the things that you’ll be remembered about forever is what you’ve done when you were executive, and what has happened in Bethesda with the Strathmore. That arena and that arts center to me is a jewel. You mentioned the Kennedy Center, which is great. That’s a National thing. The Strathmore is for Our Town. Doug Duncan: Strathmore, it’s a beautiful place. Every time I walk into that concert hall, it takes my breath away. It’s a beautiful concert hall. The acoustics are among the best in the country. The hall itself is I think one of the top 10 in the country. Doug Duncan: She said, “Now with Strathmore, I go, and I’m home at a very good time. Now I’m enjoying all this art and performances that I couldn’t have done before.” That’s exactly why … We didn’t build it to compete with anyone. We built it to complement what’s going on in the region. Frankly, Montgomery County with a million people, they deserve a center like that. They deserve to have world-class art and performances in our own county. It doesn’t mean you’re not going to go to the Kennedy Center for certain things. You can go to Baltimore, or The Birchmere in Virginia is a great place. People will still go around the region, but now there’s another option for them to go to. A Ockershausen: It’s a big addition to Our Town too. The center of Our Town, I mean, people in Northwest can use Strathmore as their own arena now. Doug Duncan: That’s right. It’s very easy. You’ve got the Metro right there. It’s right off the Beltway. It’s very easy to get to. We’re seeing that people come all over the region to Strathmore. A Ockershausen: Doug, I’m sure your group Leadership Washington has got to get involved with what’s going on with Metro. Now they’re talking about a strike. I think Metro is so important that we’ve got to find a way as citizens and government employees to fund Metro so they’re not constantly in trouble. Doug Duncan: I ride Metro every day to work, and last year was horrible. I called the Red Line the Dread Line, it was so bad. This year it’s gotten much better. The new cars make a huge difference. They’re letting you know now when they stop, why they’re stopping, and they’re giving you more information. They have a long, long way to go. Paul Wiedefeld, the new general managers, knows that. I think that’s one of the best things the Board at Metro has done in hiring him. He’s a great … I’ve known him for a long time. Great guy. A Ockershausen: He was in Baltimore, correct? Doug Duncan: He ran BWI, yeah. He’s done an awful lot for the State of Maryland, and now he’s doing an awful lot for our region. We need to listen to him, what he needs. We need to listen to the Federal City Council with Tony Williams, their recommendations on what to do with Metro. There’s got to be some governance changes. There’s got to be some management changes, and you’ve got to get the funds to make sure it works. It’s a combination of things. A Ockershausen: The many things, but Metro’s problems began many years ago. It’s always about money. The Federal Government has got to stand up, as far as I’m concerned. A Ockershausen: They’ve got to do a better job underwriting it. Doug Duncan: I hope they do. A Ockershausen: It’s too important. Doug Duncan: It’s vital to the region. Absolutely. It’s vital for their workforce. It’s vital for the economic vitality of our region. A Ockershausen: They have two Metros stops on Capitol Hill. Years ago, we used to do editorials on WMAL about taking away the parking on Capitol Hill and making them ride Metro. That will straighten them out. Then they will get the money. I didn’t get anywhere with my editorial, but they did take away our parking credentials because they got mad at WMAL. We were really haunting them. Do you remember that, Janny? Janice Iacona Ockershausen: Yes, I do. A Ockershausen: It was a great time. >strong>Janice Iacona Ockershausen: Joe McCaffrey. A Ockershausen: It was a great time, Doug. 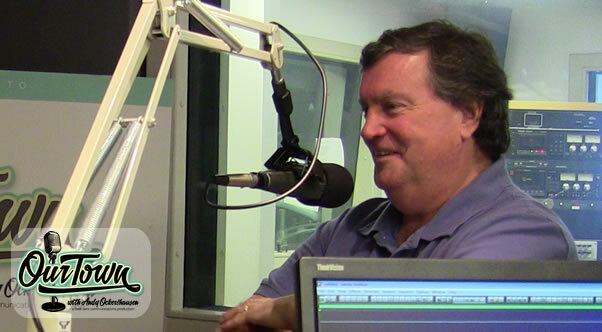 WMAL was a big force, as you know, in the community, and a big part of Our Town. You have been so great for Our Town. I think you and Leadership Washington, that job looks like it was made for you. Doug Duncan: It’s a great fit for me, and I think it’s a great fit for LGW. It’s a really good marriage. A Ockershausen: You’ve taken it to another level, though. Doug Duncan: Tim Kime, my predecessor, did a wonderful job. A Ockershausen: We love Timmy. Doug Duncan: We are trying to advance what he left me, or gave me. A Ockershausen: He worked for the Board of Trade. Doug Duncan: It’s a great organization. LGW is wonderfully committed people to advancing this region. A Ockershausen: I still think it’s a big part of success of the Board of Trade is leadership. It’s great. Doug, thank you for all you’ve done and all you continue to do. Doug Duncan: Thank you very much. Thanks for having me on Our Town. A Ockershausen: Our Town is just a fabulous place to be, and we think of everything that we can to make Our Town better. We’ve had the people involved like you have that really make an impression, and we hope you continue. We’re all for Leadership Washington. I would have taken the course, but they said I was too old. Doug Duncan: This is the best region in the country. It is just an incredible place. A Ockershausen: I wish you’d have been Governor. Congratulations, Doug. You’ll always be my Governor. Doug Duncan: Thank you, Andy. Thank you. A Ockershausen: Even though Larry Hogan is a pal. His dad just died. Doug Duncan: I know. I’m very sorry. A Ockershausen: Congressman from the county too. Doug Duncan: That’s right. County Executive, Congressman. A Ockershausen: This has been Our Town. This is Andy Ockershausen with Doug Duncan. Announcer: You’ve been listening to Our Town Season Two, presented by GEICO, our hometown favorite, with your host, Andy Ockershausen. Ne Our Town episodes are released each Tuesday and Thursday. Drop us a line with your comments or suggestions. See us on Facebook, or visit our website at ourtowndc.com. Our special thanks to Ken Hunter, our technical director, and WMAL radio in Washington DC for hosting our podcast, and thanks to GEICO. 15 minutes can save you 15% or more on car insurance.